Can You Force Your Employees To Buy Health Insurance? 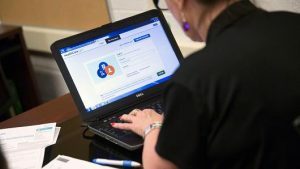 Many employers (those with 100 or more workers) are now faced with the potential to pay fines for their failure to provide their employees with affordable health coverage. As a result, there have been reports of several companies who have gone so far as to enroll their employees in their company’s plan and deduct the cost from their paychecks without their permission. And, while this practice may be perfectly legal under the Affordable Care Act, it isn’t necessary. The $3,000 per employee penalty only applies if the employer doesn’t offer the affordable coverage at all and the employee subsequently receives subsidies to enroll in coverage through the public exchange. In order to be deemed “affordable” the employee must pay no more than 9.5 percent of the federal poverty guideline to receive benefits that cover at least 60 percent of his or her covered medical expenses. So, while you may be affirmed in automatically enrolling your employees, you aren’t required to do so. See this CNBC article for more info.